Sen. Rubio consistently argues that gun control is not the solution, pointing to the facts that no proposed measures would have stopped any of the major shootings over the last few years. 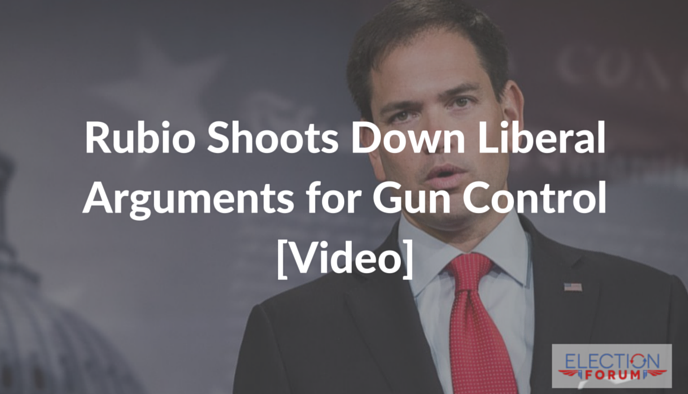 The liberal press wanted Rubio to backtrack or modify his pro Second Amendment stance on the right to own guns. Surprisingly, the Washington Post fact-checked his statements and concluded he is correct. Rubio will not compromise. Rubio emphasizes that our biggest security threat is homegrown terrorism – and the only way to counter these attacks is to use intelligence to prevent them before they happen and ultimately to defeat ISIS. Watch him explain his position on gun control despite the liberal push-back. No rhetoric from any candidate running for office should be considered, when such candidates have historical records of governance evidencing the true disposition of their ‘claims of conservatism.’ Only the voting records, other records of governance, and especially associations, should be considered as evidenced of eligibility during GOP primary elections. Claims of tactical benefits to electing “the establishment lesser of two evils” GOP constitutional-schizophrenic candidate ‘anointed’ by polling data and the media as “the one who can beat the Democrat,” only holds true if electing such candidates is the exception and not part of a decades long pattern. The irrefutable fact of America’s existing emaciated condition is that ‘establishment’ GOP candidates are always constitutional-deconstructionists who govern constitutionally most of the time but never enough to bring restoration. Confirming the old adage that, ‘the lesser of two evils always brings more evil in the end’ – as evidenced by the horrible record of governance buy ‘establishment’ GOP politicians. Rubio’s voting record, along with the governance records of Bush and Christie, evidence the precise type of truly conservative campaign rhetoric that is always followed by ‘establishment’ constitutional-deconstructionist governance if elected – which has brought America to its existing state of being emaciated and wearing a veneer of ‘super power status’ hiding America’s functionally bankrupt and constitutionally deconstructed condition. The past century of GOP politics proves beyond any doubt, that electing constitutional-deconstructionists who infect the GOP it like a cancer, to prevent a Democrat from being elected, only serves to slow America’s velocity toward destruction and bring destruction in different ways and would democrat-socialists/globalists. America’s only chance for survival lies in America’s pulpits returning to teaching an unedited version of God’s Word as was generally done pre-1900s, which catalyzed the Revolutionary war, the fight to end slavery, and aid for the needy precluding government from doing so. The pulpits must return to continually admonishing their congregations of their obligation to represent Christ in society and government to the exclusion of competing and pathological worldviews. Something that should be obvious to most Christians given the Bible’s warnings in versus like James 2:20 – But wilt thou know, O vain man, that faith without works is dead? Or, James 2:24 – Ye see then how that by works a man is justified, and not by faith only. 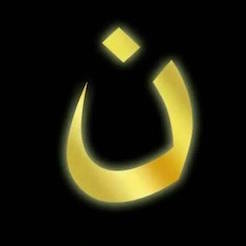 Meaning, that works do not purchase salvation, but they do evidence faith is real and not assumed. Moreover, GOP voters must stop listening to easily manipulated polling data and the conservative-relativists and global-engineering constitutional-deconstructionists claiming conservatism and hand-fed to them on globalist Rupert Murdoch’s Fox News. And instead, focus on lawfully cleansing the GOP of the constitutional-deconstructionists who have the GOP now functioning as ‘the party of lessor and different types of destruction,’ as compared to Democrats. The GOP must be returned to being the party of the Constitution, instead of being the party of conservative rhetoric, global-engineering, and trash-talking Democrats while not using the resources at the GOP’s disposal to oppose Democrats. The pulpits of America enable us as we participate in the evils that destroy America buy our luke-warm opposition, and the GOP is far too infected with conservative-impostors and their useful-pawns for America to survive. A situation certain to gravely offend God, as it exists due to the ‘Christ-void’ created by Christians no longer engaging in biblically mandated ‘works’ necessary to glorify god, evidence faith, and save America from destruction. Mike, that has to be the most verbose comment I have ever seen. After the first few sentences, you were putting me to sleep! You need to do the “Reader’s Digest condensed version” of your comments. That is….if you want anybody to actually READ your comments. Are you a college professor? Just askin’. I find your complaint about my comment to be conflicted. On one hand, you say my “verbose” writing putt you “to sleep” after two sentences, which seems to be a complaint about content rather than verbosity. Then, you complain about the length (verbose) of my comment. If you are falling asleep after two sentences, I would hope you get more sleep. If you find comments like mine too lengthy, I recommend using the down-arrow on your keyboard to quickly move past such comments. If you are ‘shooting the proverbial messenger because you do not like the message’ using the length of my comment as your pretense, then I would hope you would stop doing so and address any content with which you disagreed — as you may have knowledge I am unaware of that may allow me to correct assumptions I maintain not based in fact. Thanks for your consideration.